The Pangu team’s release of a jailbreak for iOS 8 / 8.1 was a very pleasant and prompt surprise, but while we commend the work of the Chinese outfit, the response from the wider community has been equally admirable. Saurik, the author and maintainer of Cydia, has been working tirelessly to bring Cydia up to compliance with both Pangu and iOS 8 / 8.1, and having released a major update last week with a number of fixes, has just rolled out version 1.1.16. Full details, changelog and information on how you can avail this latest version of Cydia can be found after the fold. Just a few days ago, Saurik rolled out Cydia 1.1.15, which, among other improvements, brought multitasking support while also clearing up the long-standing passcode issue that had afflicted early adopters of the Pangu8 jailbreak. 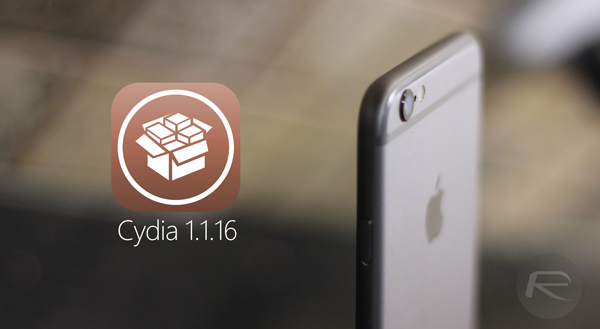 Today, Cydia 1.1.16 has just dropped, and once again, there is a healthy list of fixes and adjustments. Described as a “bug fix” release, it doesn’t disappoint, with the iOS 8 “restore from backup” feature now apparently working as it should. Previously, folks would need to reinstall Cydia Installer after using it, but as of Cydia 1.1.16, there should be no further issue. The iOS multitasking support was added with the last update, and as opposed to a 15-second timeout, it has now been set to 15 minutes. Also thrown in with Cydia 1.1.15 was the blocking of App Store pop-ups, and now, this implementation has been improved to hopefully stop some from slipping through the net. In order to update to the latest version of Cydia and reap the benefits as outlined above, fire up Cydia, run a search for ‘Cydia Installer’, and ensure that you have the latest release by checking that the version number is indeed 1.1.16. If not, simply refresh, then install, and once you’ve rebooted, you’ll be able to enjoy the latest edition complete with all of the improvements detailed above. how do I add repositories on the new update? I need to know this as well! !